You’ve seen the iconic image of a welder in a large, heavy, windowed mask, hot sparks flying from steel being welded, but how much do you really know about the basics of welding? 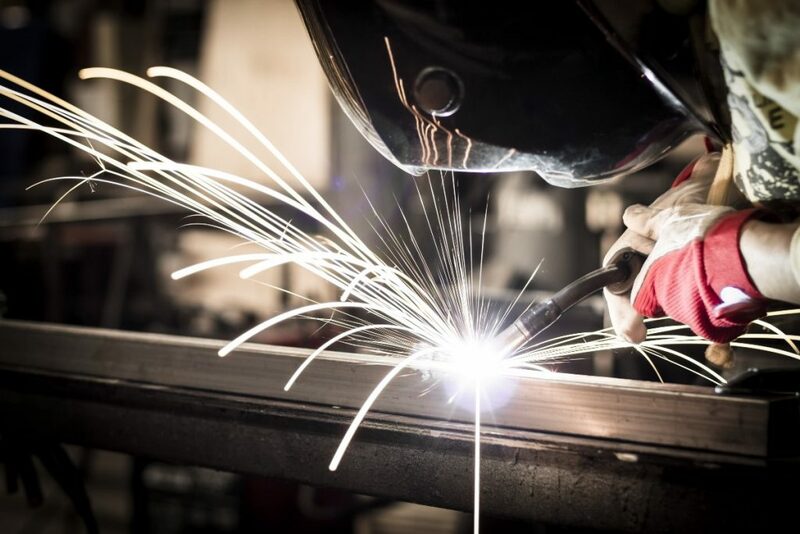 You may know that welding is one of many types of joining – along with soldering, adhesive bonding, and more – that makes a permanent joint between two items to form a single item. But did you know that welding in itself has sub-types depending on the method being used? We at West-Arc Welding are happy to educate you and explain the different processes to our customers so you can make informed decisions on the service that’s right for you. There are over 70 specific types of welding processes but they tend to fall into two overarching categories – fusion and solid-state. We can’t tell you about all of them in one blog post but here are some of the more common processes you may find used in your fabrication. The key element of fusion welding is that the process by which the items are joined involves heat melting the base metals. 1) Arc Welding – Arc Welding is the most common, and where West-Arc Welding derives its name. Arc Welding means that the metals are heated by the application of an electric arc. Within the category of Arc Welding, there are variations such as Gas Tungsten Arc Welding, Manual Metal Arc Welding, Gas Metal Arc Welding, Plasma Arc Welding, and more. Ask us for more information on these and other Arc Welding processes. 2) Resistance Welding – Spot Welding and Seam Welding are two types of Resistance Welding, which coalesces items using the heat of an electrical resistance to the flow of a current passing between the two items. 3) Oxyfuel Welding – Oxygen fuels this type of Fusion Welding, in combination with either acetylene or propane, to produce a hot flame to melt two metals together. The key element of solid-state welding is that pressure is the process by which items are combined, either with or without heat also being applied. 1) Diffusion Welding – Here, the two items are held together under pressure at an elevated temperature, well below melting point, resulting in solid-state diffusion. 2) Friction Welding – The natural heat of friction allows for the welding of two surfaces. 3) Ultrasonic Welding – In this process, moderate pressure is applied while an ultrasonic oscillation resulting in vibration combines two items. Did you know there were so many ways to weld, many of which can be done in the field? Would you like to know more about the processes that would work best for your next fabrication project? Give us a call at West-Arc Welding to schedule an appointment today!